The Iowa Supreme Court has ruled in a case that defines the definition of rain when it comes to insurance claims. The Amish Connection Store in Crossroads Mall in Waterloo was flooded after a corroded drain pipe carrying Amish Connection ruling rainwater through the building burst during a heavy rainfall in 2010. State Farm insurance refused to cover the losses, citing a provision in its policy that loses for rain are only covered if there is first damage from a storm that allows the rainwater to get into the structure. The Amish Connection argued once the rain left the roof and entered the drain pipe it was no longer rain, and the damage was caused by the failure of the drain pipe. The district court dismissed the case based on the rain provision in the insurance policy, but the Court of Appeals overturned the district court ruling. 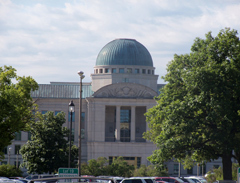 The Iowa Supreme Court ruled the water in the drain pipe is still rain and not covered under the insurance policy. The court says the insurer expects the property owner to keep the rain out and writes the policy to avoid paying for damage from rain resulting from deferred maintenance. Justices Daryl Hecht, David Wiggins, and Brent Appel were part of a dissenting opinion. They say the case should have gone to trial as it is reasonable that it could be found the loss Amish Connection suffered was not from the rain alone, but only because the pipe failed while the rainwater was passing through it.